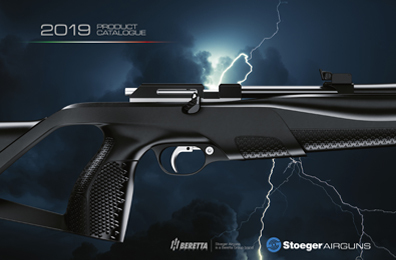 Stoeger AIRGUNS brand is synonymous with Innovation and Italian Design. Our rifles are exclusive, sensual, provocative and always unmistakably Italian. In fact, all our models are entirely, idealized and designed in Italy. Stoeger AIRGUNS has always been the creator of dynamic and unrivalled rifles. Stoeger AIRGUNS rifles are recreational air rifles to have fun, to enjoy the first experience of hunting and shooting. Enjoy the nature, feel good and take up a different air rifle. Our rifles are incomparable through their blend of Fascinating Design and Supreme Shooting Ergonomics. Stoeger AIRGUNS has always in mind the design and implementation of something special that could convey new emotions to the shooters. The Stoeger AIRGUNS brand has a cutting-edge, distinct and streamlined design with multiple souls: Sporty, Elegant and Innovative. Functional Ergonomics, User Interaction study, User Experience. The Air Rifles RX line translates technology in style. Discover all the news about Stoeger AIRGUNS Air Rifles and Air Guns. View our products complete range. Fixed barrel single shot air rifle for optimal precision. Singular personality, style and comfort. A best quality pellets range to satisfy every need. High Tech Olympic class – Made in Germany. Watch Stoeger AIRGUNS video collection: New XM1, RX Line, S3 Suppressor, 10 Years Anniversary and more. Stoeger AIRGUNS mission is to offer innovative design, highly ergonomic, young air rifles and air pistol to the market, with excellent ballistic performance at the right price. Our Vision is to continue to innovate the design lines of airgun. Motivate young people to approach the world of hunting and shooting starting from handling air guns. Stoeger AIRGUNS is part of the prestigious BERETTA HOLDING group and is the only brand in the group to deal exclusively with air rifles and air pistol. The headquarters of Stoeger AIRGUNS is in Italy where a team of designers and engineers are constantly working on the development of new products. The range of Stoeger AIRGUNS's products are modern, high-tech air rifles with the look and feel of quality European sporting arms. Developed by Italian engineers and designers, Stoeger AIRGUNS air rifles combine rugged, efficient design with quality manufacturing. Stoeger AIRGUNS air rifles are suitable for shooting interests from plinking and target shooting to pest control and small-game hunting. The airguns are chambered for .177-caliber, high-velocity alloy or hard-hitting and penetration lead pellets. They are powered by a fast and convenient break-barrel, spring-and-piston system and gas-ram system. 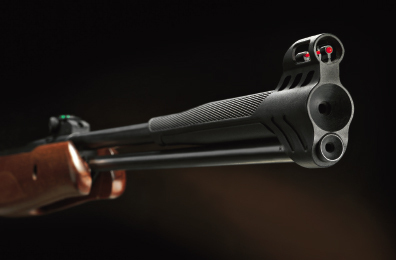 Every Stoeger AIRGUNS airgun is ready to shoot with a single cocking stroke—.